Interloft provide custom designed truss loft conversions with the highest standard of workmanship possible, that’s why we are able to offer an optional ten year guarantee on ALL our work. We use in-house installation teams to ensure the quality is maintained throughout the entire project, from start to finish. We work closely with our customers to create a truss loft conversion that perfectly matches your requirements. Whether you are looking for a new bedroom, children’s play room or even an extra bathroom, Interloft can take you through the whole process step by step and help you create your ideal living space. After providing a free quote we can then discuss your ideas in more detail and visit your property to take measurements and decide which options would be most suitable. From there we can provide detailed planning with computer aided designs to show you how the truss loft conversion will look when complete. 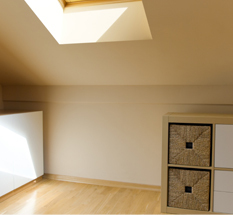 Do I need Planning Permission for a Truss Loft Conversion? In most cases you do not need to obtain planning permission for a truss loft conversion, provided that the dormer window being fitted does not face the front street or any other properties or main roads. If you do need planning permission for your truss loft conversion, our friendly experts at Interloft can guide you through the whole process and offer help with filling out any forms or paperwork as part of the application. Throughout the building phase we keep you up to date at all times, offering the finest quality of workmanship derived from over 15 years of experience in the industry. Our specialist technicians are all trained in-house at Interloft and will ensure that the highest standards are maintained throughout the project, cleaning up all work areas at the end of the day and working to strict deadlines to ensure that the truss loft conversion causes minimal disruption to your schedule. For more information on truss loft conversions, gaining planning permission and which options are available with your property, contact our friendly experts who will be happy to answer any questions you may have and can offer a free quote for your perfect truss loft conversion in Yorkshire.